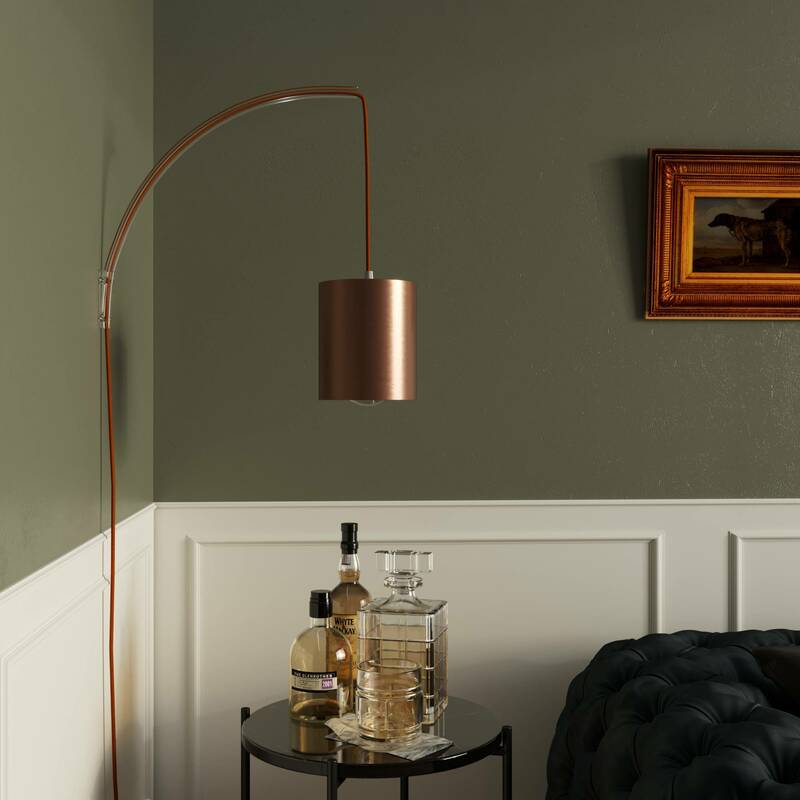 Archet(To) is Creative-Cables patented solution to create a suspended lamp that can be hung wherever you want. It was named after its shape (in italian, archetto means “little arch”) and after its origins: the (To) abbreviation identifies Turin, the italian city where Creative-Cables was founded. Archet(To) was born from an idea of Achille Novarino, is designed by Albo Design studio, and is completely made in Italy. You only need a wiring kit! Archet(To) can be quickly installed thanks to the mounting kit included in the box. To make it work, you do not need a nearby socket: just choose a Creative-Cables wiring kit, such as Snake and SnakeBis, selecting the colour that best suits you among the more than 100 shades available. It won’t be difficult to find a nice spot for Archet(To): thanks to its light structure in transparent polycarbonate, it will easily suit any environment. By choosing a 2-ferrule lamp holder, it will be possible to hang a lampshade from Archet(To) with a maximum diameter of 70 cm. Archet(To) bends according to the weight it is bearing: it keeps its original shape with weights below 100 g and it arks down to adapt to higher weights. The maximum bending point is reached with an overall load of 3,375 kg. To mount Archet(to) on a wall lightpoint, you may want to use the designated bases. 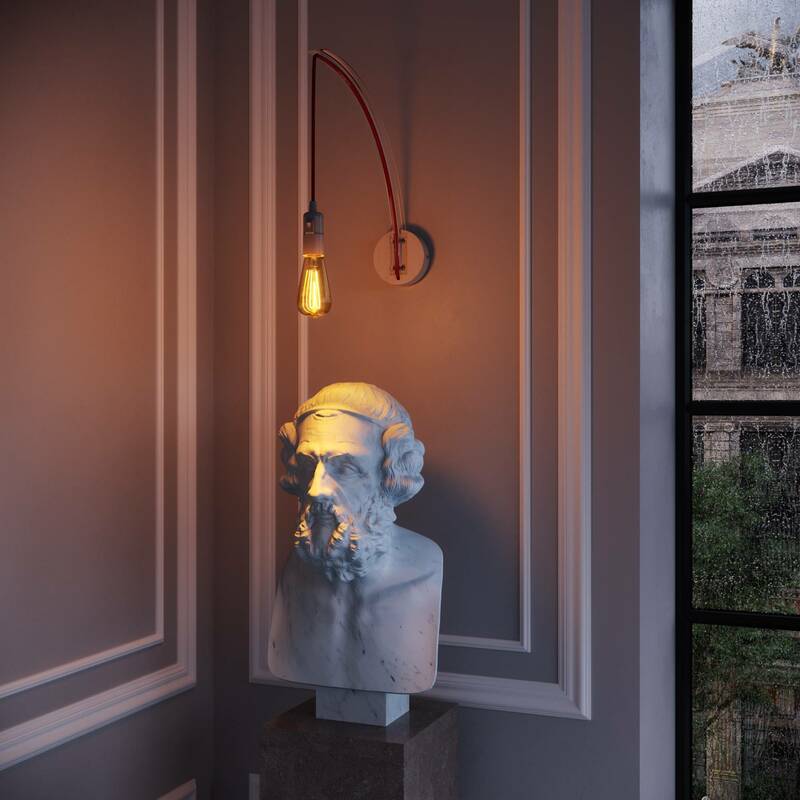 Round or squared, with bracket fixing kit, they are made of natural wood crafted in Italy, that can be polished or painted to create an even more customised lighting solution.